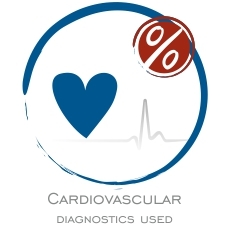 On this page you will find an overview of our used medical devices. 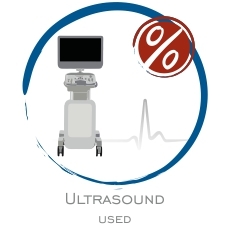 You can find here a large selection of our high-class and under very attractive conditions offered used ultrasound systems. All of those ultrasound systems are refurbished technically and optically and also tested on-site by us. The associated ultrasound probes are checked, refurbished and disinfected. The ultrasound systems and probes have been proved by the known safety inspection (STK in Germany) and of course we grant you at least a 6-months warranty. 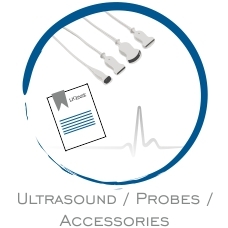 We are able to offer you the appropriate ultrasound probes for our used and new ultrasound devices. We have in stock new ultrasound transducers for your ultrasound systems but can offer you also used ultrasound probes in good quality and for a very good price. We advice you gladly, which probes are appropriate for your need, your sector and your ultrasound systems. Here you can choose between our used ECG devices, ergometry devices, vital signs monitors, heart defibrillators and lung-function devices from different manufactures.. All units are tested on-site, optically and technically and have been proved by the known safety inspection (STK). Of course we provide a warranty on all used equipment for about 6 months. 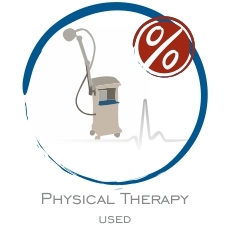 On our side physical therapy used you can find our preowned products of HF-diathermy, electrotherapy, suction waves and ultrasound therapy of different manufacturer. The CAmed Medical Systems corporation offers you also the complete service and reparation for all units of the product group physical therapy. You can feel certain that our used systems are in very good conditions. All of our used systems are tested on-site, STK proved and of course we grant you at least a 6-months warranty.